Who gave Manzoor Pashteen the mandate to represent Pashtuns? What is Pashtun Tahaffuz Movement (PTM)? How PTM got established and which factors acted as a catalyst for PTM to attract a significant number of people? PTM rose from the inside; however, is it still indigenous? And last, but perhaps the most important, question is what are the tactical and strategic goals of PTM? There is no doubt that PTM, in a relatively short period of time has gained much national and international attention; nevertheless, this rapid gain in momentum makes PTM fascinating as well as a worth probing entity. Movement is a political instrument that has its epicentre in the mobilisation of people – primarily used to coerce and compel the authorities and governments to fulfil the interests of a certain group or community – which feels to be marginalised and being pushed to the corner. Over the course of history, movements have remained a vital organ in the lives of nations and states. This organ from time to time keeps the concept of nationhood alive; however, some movements – fundamentally fuelled by foreign hostile elements to pursue their own interests – intend to fake and fade the identity of nations and to flare up the fault lines existing among them. John Brueilly, an English Professor of Ethno-Nationalism, argued in his book ‘Nationalism and the State’ (1993) that nationalism and nationalistic feelings are primarily stirred to be used for political purposes. Brueilly outlined that nationalism is being projected with three major approaches i.e. i) Separation, ii) Reformation, and iii) Unification. While on the other hand, Paul Brass in his book ‘Ethnicity and Nationalism: Theory and Comparison’ (1991) asserted that elites mobilise people and stimulate their ethnic sentiments primarily for their own purposes and interests – Brass called it as instrumentalism. The arguments of Brueilly and Brass make sense in understanding PTM. Pakistan’s War on Terror undoubtedly caused many problems for Pakistani Pashtuns; however, the troubles were not limited to Pashtuns but every single Pakistani was and still affected in many ways. PTM remained a negligible student organisation since its inception in 2014. However, the assassination of Naqeebullah Mehsud became the catalyst that provided PTM with an opportunity to project its stance. It is conceivable that asymmetric and irregular military operations, though sound interesting, may cause widespread destruction of infrastructure. Pakistan’s War on Terror undoubtedly caused many problems for Pakistani Pashtuns; however, the troubles were not limited to Pashtuns but every single Pakistani was and still affected in many ways. It is a wrong perception that the emergence of PTM is a challenge to state’s narrative. Apart from the criticism, there are many bright sides of PTM which are perhaps being put to the background. The emergence and media coverage of PTM makes one thing clear that Pakistan does not intend to suppress the freedom of speech. It also highlights that the people of Pakistan are that much politically aware that they do not blindly follow any political narrative regardless of the source of the message. Pakistan is an ideological state having its foundations in the Two Nation Theory – that was fundamentally pivoted upon the distinct and separate identity of Muslims. It is interesting yet out of the ordinary that the timing of PTM’s ascent is coinciding with unparalleled political and strategic upheaval. It can be observed that Nawaz Sharif’s disqualification, Pak-Afghan border fencing, Pakistan’s successes in War on Terror and 2018 being the General Elections year – may not just be coincidences. It is one’s contention that the name ‘Pashtun Tahaffuz Movement’ sounds like Pashtuns of Pakistan are being declared as aliens by the state and that their very existence is under threat. Perhaps, the name is intended to project that PTM is the only representative political body of Pashtuns – hence, stirring up the sympathy card, subsequently, calls for support from every Pashtun. Almost every ethnic group living in Pakistan regardless of concentration of its population enjoys utmost autonomy and equal opportunities. Pakistan is blessed that regardless of ethnic diversity, each ethnic group likes inter-marriages and close relations. Surely, the enemies of Pakistan do not intend to see this ethnic harmony and they raised slogans such as Pakhtunistan – just after Pakistan got its independence. If PTM intends to achieve its strategic goals then its leaders must refrain from becoming demagogues. Its leaders must ensure that its ranks must not be infiltrated by Afghan and other irredentist states. It is one’s observation that PTM’s tactics are counter-productive – since it raised slogans and maintained posture against the state; however, its strategy remains vague – perhaps, which makes it dangerous. It is commendable that the government and other state institutions took heed of PTM’s demands and gave considerable contemplation. 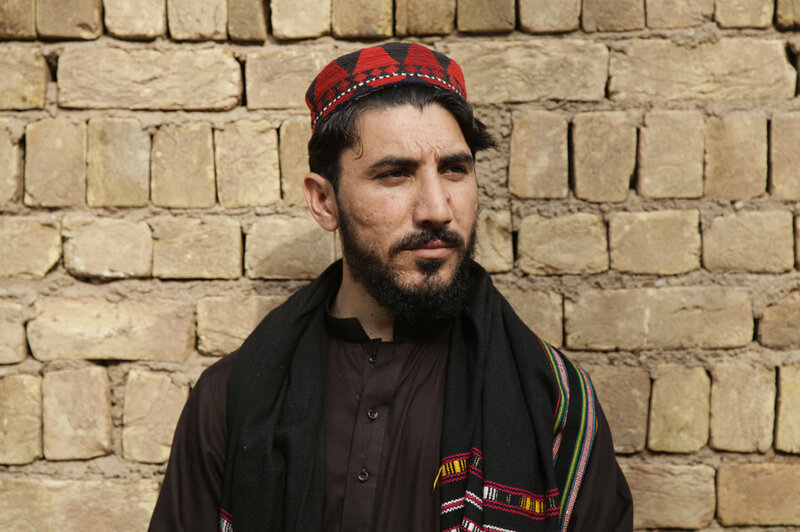 The feelings and demands of PTM are to be respected; however, how Manzoor Pashteen would justify his rhetoric of the marginalisation of Pashtuns? It is an open secret that every major business in Pakistan has major Pashtun representation – whether it is transport, real estate, construction, hotels, cloth, crockery, mining, or manufacturing industry. Similarly, the judiciary and Pakistan’s bureaucracy – civil as well as military – have a large number of Pashtuns. They have their representation in every political party and their soft power also dominates in the athletic community. If these highly educated and politically, socially and economically powerful and influential Pashtuns don’t consider themselves or their communities to be marginalised, then who gave PTM or Manzoor Pashteen the mandate to represent Pashtuns?